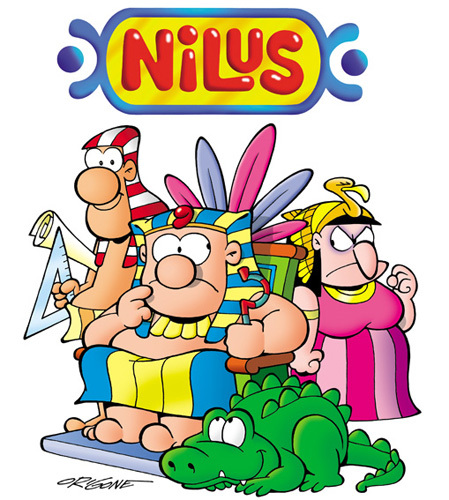 NILUS and the PHARAOH is a comic strip set in Ancient Egypt, with thousands of satirical strips by the Origone brothers addressing the timeless topics common to all individuals and societies. 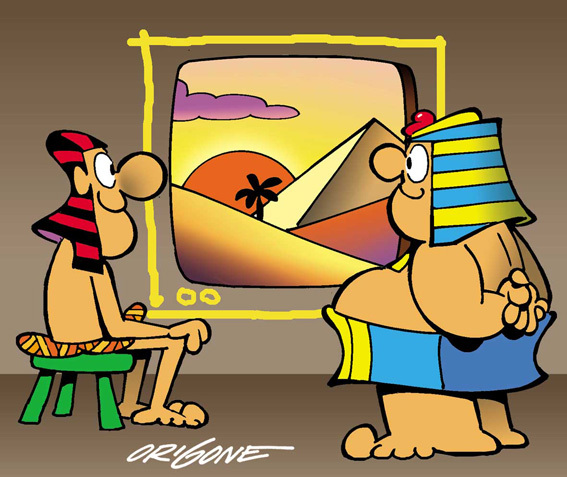 First published in 1976, the strip has been since appeared in dozens of newspapers and magazines in Italy and abroad. 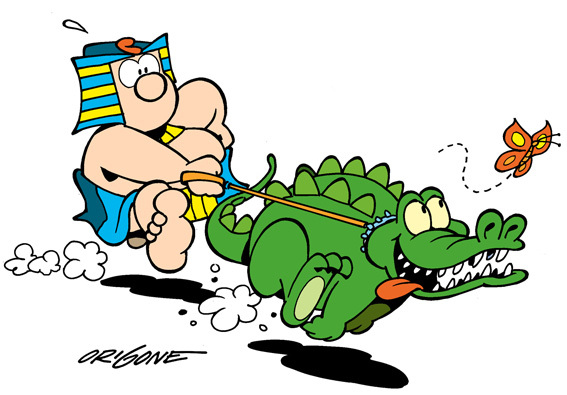 Over time, the ORIGONE brothers have continued to add substance, jibe after jibe, to a cast composed of Nilus, the Pharaoh, his wife, their daughter, the priests, the slaves, the royal crocodiles and the thoroughly modern mummy, guaranteeing plenty of comic material and the possibility of using the characters, through a licensing agreement with QUIPOS, for products, commercial promotions and advertising campaigns. Since 2007, drawings by the Origone brothers have also been available as mobile phone display backgrounds. © 2019 QUIPOS s.r.l. This website is protected by the laws and conventions on author's rights. Drawings and texts may not be used or reproduced in any manner whatsoever without written permission of Quipos s.r.l.